Devour trees, obstacles, and huge chunks of stages with Kirby's Hypernova ability and inhale enemies to copy epic new moves like Archer. It's a grand new Kirby adventure PLUS a new multiplayer battle mode, Kirby Fighters! When a mysterious being kidnaps King Dedede atop a giant Dreamstalk, only Kirby can save the day! Jump from the foreground to the background in dynamic 3D side-scrolling environments while using new and returning copy abilities to defeat enemies. Duke it out in Kirby Fighters, a fierce 4-player battle mode where you fight using a chosen ability like Sword or Ninja. The last Kirby standing reigns supreme. 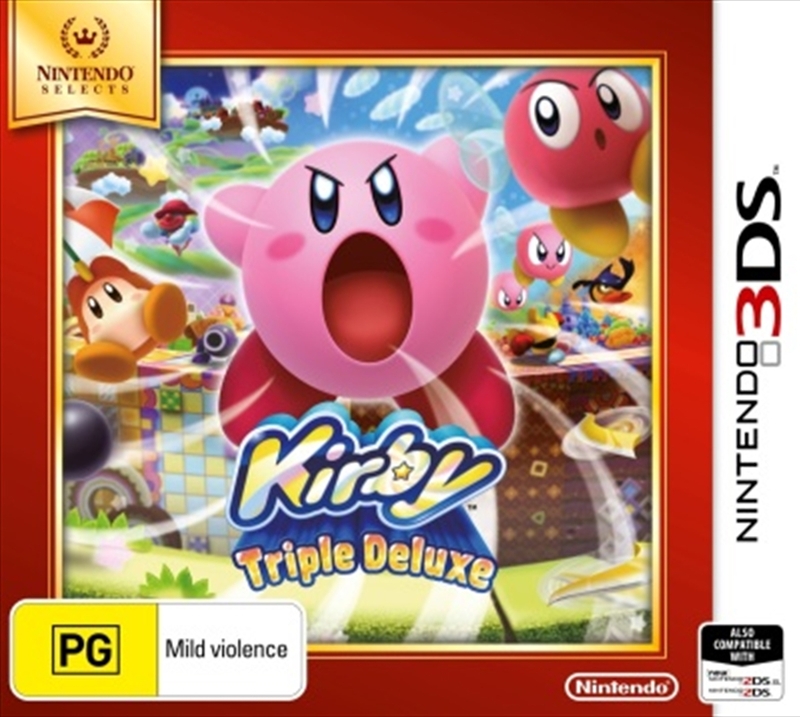 Whether you're new to Kirby or an old fan, the Kirby: Triple Deluxe game offers a triple threat-action, adventure, and a battle mode!